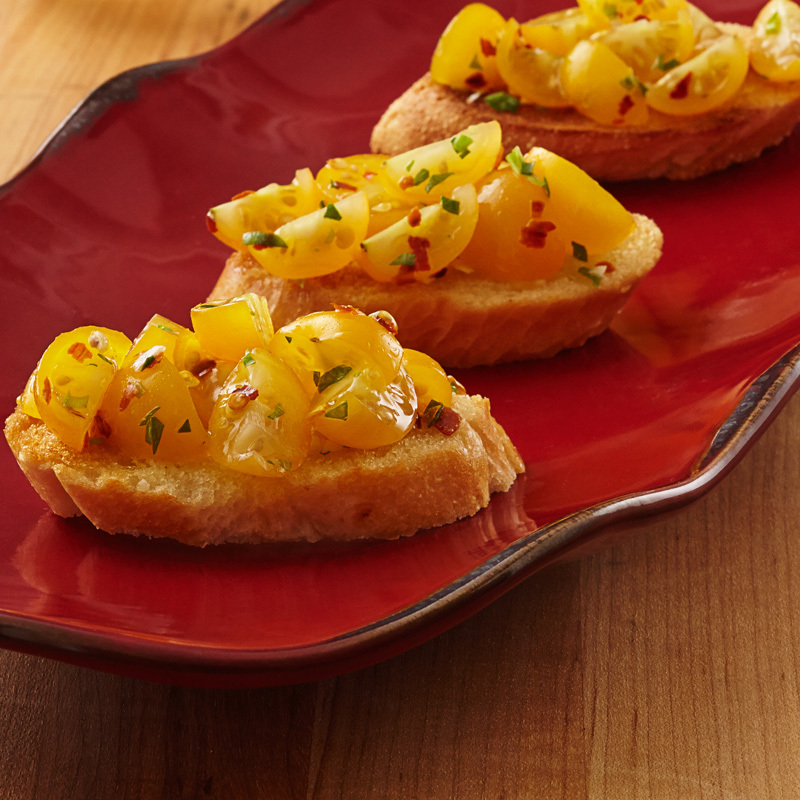 This classic Italian appetizer is perfect with NatureSweet® SunBursts®! In a bowl, mix all ingredients except baguettes and garlic cloves. Add salt and pepper to taste. Set aside, unrefrigerated. Toast baguette slices on baking sheet until golden brown. Rub cut garlic on each toasted slice.